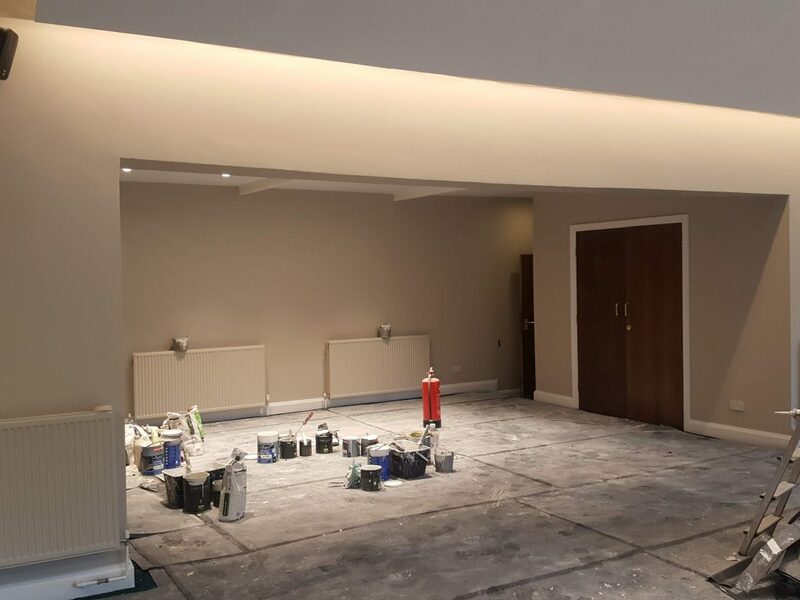 The finishing touches are being added to the major refurbishment of The Clubhouse that has been going on since the first week in January. 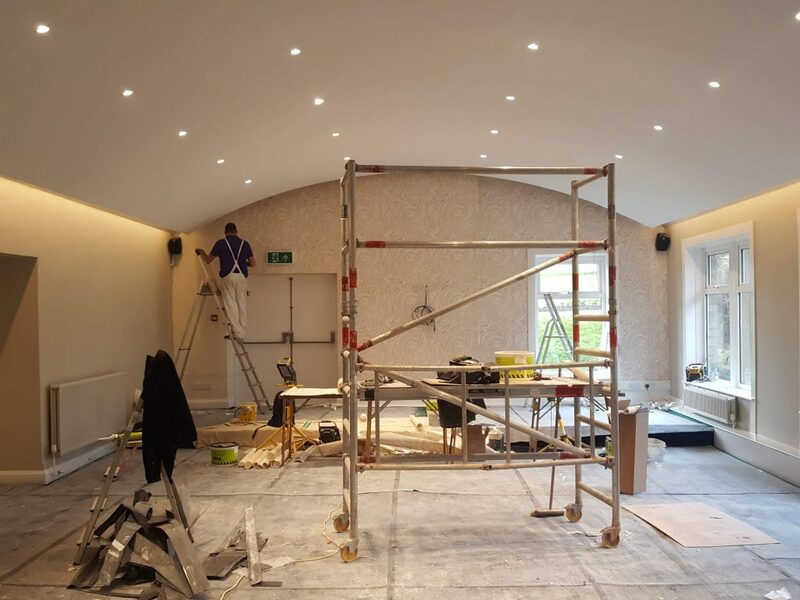 The walls have been painted a lovely, warm, "Porcelain Stone" grey colour, the back wall of the Main Lounge has been papered with a swirl pattern - turning it into a feature wall, and a beautiful new wood floor has replaced the tiles that surround the bar. 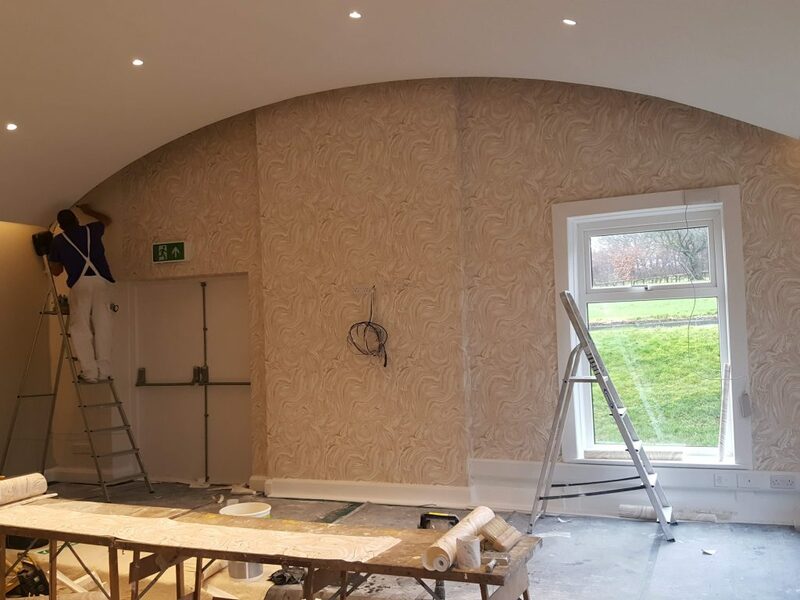 In the photos below you can see the impressive feature wall being completed. The cleanup operation will start this afternoon, to ready the room for planned functions over the weekend.